Three universities are joining forces to help Danish companies use brand new methods for product development. Two large research facilities with Danish partnership are currently under construction in Lund: ESS and MAX IV, which will be the world’s most powerful neutron source and X-ray facilities. Innovation Fund Denmark has just invested 50 million kroner in the social partnership LINX, so that Danish Industry can derive maximum benefit from the new techniques for materials research at the two research facilities. Here is MAX IV under construction in Lund, Sweden. MAX IV will be one of the world's most powerful synchrotron-based X-ray facilities. Right next to MAX IV, the European Spallation Source (ESS) is currently being constructed. Together, the ESS and MAX IV are expected to become the world's leading research facility for structural studies from the atomic level and upwards. The University of Copenhagen already began laying the groundwork for the LINX project in 2013 when Lise Arleth, Professor of Neutron and X-ray Scattering at the Niels Bohr Institute, with support from the Capital Region of Denmark, the Faculty of Science and the Faculty of Health and Medical Sciences under the University of Copenhagen, started a pilot project, which was called NXUS (Neutron and X-ray User Support). The total budget for NXUS was 4 million kroner. In the first phase – from 2013-2015, they completed the ten pilot projects with Danish companies within pharmacology, biotechnology and food science. Similar pilot projects have been run by researchers at the Technical University of Denmark and Aarhus University. Lise Arleth is a professor of neutron and X-ray scattering. She works with the structure and properties of self-assembling nanoscale structures in order to understand what the tiniest biological molecules look like, how they move and how they work. 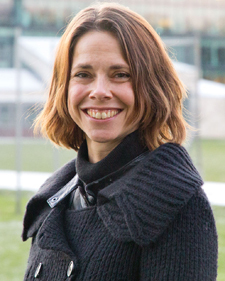 Lise Arleth has a special focus on developing new X-ray and neutron based measurement techniques to study proteins and cell membranes. The Innovation Fund Denmark has just invested in the social partnership LINX (Linking Industry to Neutrons and X-rays) so that Danish Industry can derive maximum benefit from the two major new research facilities ESS and MAX IV. Researchers from Aarhus University, the University of Copenhagen and the Technical University of Denmark have joined forces on a common portal that will serve as a bridge between companies and the large facilities. The projects in LINX are defined by industry, typically based on challenges related to materials, components and biotechnological products, for example, in relation to effectiveness, durability or quality assurance. With the new technology, companies will be able to achieve a unique understanding that will give them an edge in international competition. “It is really wonderful that we can continue with the LINX project and consolidate the great work that we have begun with the NXUS project over the last few years. With the LINX project we will have fewer, but larger collaboration partners. This will allow us to get deeper in terms of research, which will be very exciting from a research perspective. Both we and the companies expect that the project will directly contribute to many different types of products including medicine, food products and ‘smart’ materials that we will be working with,” says Lise Arleth Professor of Neutron and X-ray Scattering at the Niels Bohr Institute at the University of Copenhagen. 15 companies have committed to the project from the start by contributing means and manpower. The goal of LINX is to understand the structure of the materials and biotechnology products that the involved companies work with, right down to the atomic level and in three dimensions. “The massive investments in Lund can give Danish materials research a crucial leap forward. LINX provides a parallel opportunity that the research methods and results can be extended to Danish Industry at an early stage. Grundfos is looking forward to being one of the spearheads and expects to eventually be able to use the latest and most advanced methods in materials research to improve our products,” says Senior Science Advisor Poul Toft Frederiksen from Grundfos. 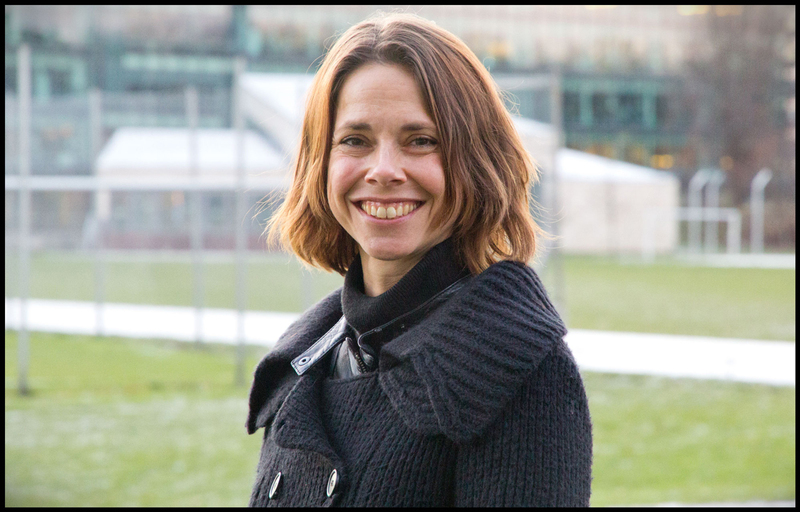 The overall budget for the LINX project is 75 million kroner, 11 million kroner of which will go to the University of Copenhagen’s part of the portal, which will be based in Lise Arleth’s group in the Neutron and X-ray Scattering section at the Niels Bohr Institute over the next 5 years. “As in NXUS we will be focusing on small angle neutron and X-ray scattering as the primary measurement techniques. Some of the measurements could be made on the equipment we have at the Niels Bohr Institute, but the majority of the experiments will be carried out at international large-scale facilities for neutron and X-ray scattering, for example ESRF and ILL in Grenoble or Diamond and ISIS in Oxford. When the new facilities in Lund, ESS and Max IV, are ready, we expect to move more and more of the measurements there,” explains Lise Arleth.